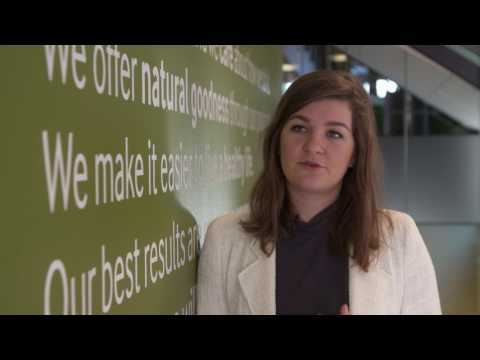 Students and graduates play a very important role in Arla. We highly value the energy and drive you bring and we are happy to provide the opportunity for you to put theories into practice while at the same time, building your professional network. We can offer you a larger number of career opportunities whether you are a student, a graduate or a young professional. These opportunities are within practically all thinkable business areas – from Logistics, R&D and HR to Sales, Marketing, Finance and IT. In Arla, we strive to unlock the highest potential in each while working together to create the future of dairy. We push each other to keep our cooperative at the forefront of the dairy industry, so we can create Good Growth and bring health and inspiration to the world, naturally. Therefore, we reward your commitment and high performance and believe that to keep growing our business, it is essential to provide an empowering environment that enables both personal and professional growth for all our colleagues. So, regardless of where in your career you join us, we have development opportunities for you. Whether you are a student, a graduate or a young professional, the opportunities in Arla are many. Are you looking to boost your career through student jobs, we are always looking for Student Assistants and if you are graduating within the next year or so, one of our graduate programmes may be the perfect opportunity for you. You can read much more about how to grow with Arla here. Should you be a young professional and on the lookout for your next career move, we post open positions on our website on an ongoing basis why we kindly ask you to stay updated there or here on Graduateland.